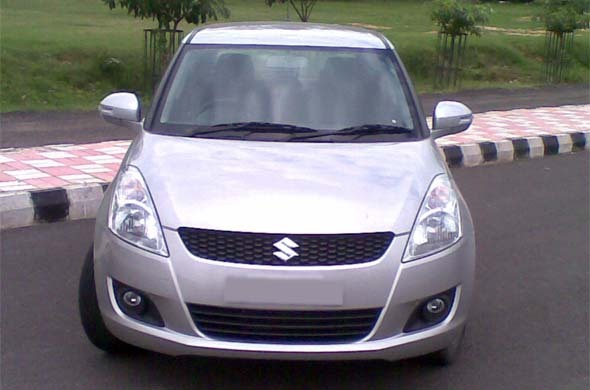 Will Maruti recall new Swift for braking issues? Last month, the Society for Indian Automobile Manufacturers (SIAM) issued a voluntary code of conduct to automobile manufacturers to “recall” vehicles that need a problem fixed. However, Indian automotive manufacturers hate to admit there is a problem, and even when they have “recalled” vehicles, it has never been termed a recall. It’s either called a “retro-fit” or seen as an act of benevolence on the part of the company – in the hope of appearing really proactive and customer-friendly. In Maruti’s case, it’s neither. The company has not officially acknowledged the problem and has not replied to an email query from CarToq either. Not acknowledging the problem does not mean it does not exist, as can be seen from the complaints we’ve received. But acknowledging the problem probably has far greater consequences for the company and hence it is staying tight-lipped, while probably figuring out a solution behind the scenes – something it can later call as a “retro-fit” and get away with, without too much bad publicity. And since it’s a problem that occurs at very low speeds and not potentially life threatening, the company probably does not see this as a major safety concern. What exactly is the problem with the Swift’s brakes? Some members of the CarToq community have reported that at low speeds, in bumper-to-bumper traffic, when one is driving with the clutch pedal half depressed and also using the brakes at the same time (a typical situation on crowded, sloped roads in Bangalore for instance), the brake pedal suddenly becomes hard to press and is not effective – the car does not stop when intended. This is a typical case of the brake booster losing vacuum at very low rpm. However, this problem does not appear to be widespread. In fact, even if a hundred people report this problem, it is too small a number (less than 1%) compared to the total number of Swifts being sold every month (over 15,000 sold each month). CarToq experts tried to replicate this problem on dealer test cars in various cities after speaking with members who had complained about it, but were not successful, which means that this is an issue that’s not prevalent on all cars or requires very specific driving conditions. Maruti cannot be forced to issue a recall for the Swift either unless the problem is widespread and easily proven – or if there are legal cases that come up because of this problem. The SIAM code of conduct is only a voluntary one and has no real powers to force manufacturers to recall cars. Will the Swift ever be recalled for this braking issue? Share your thoughts.